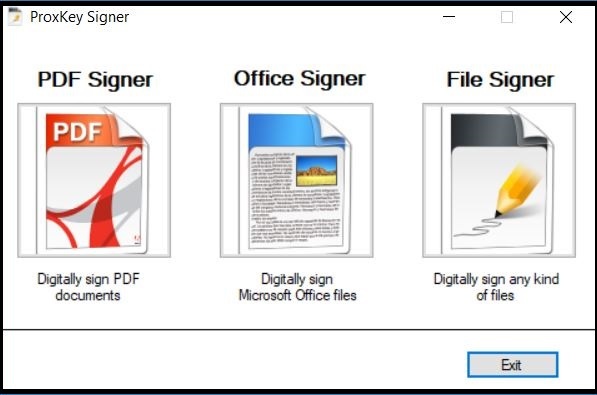 PDF Signer, Offce Signer & File Signer software shortcuts will be launched. You can click any of the software you want to work on. 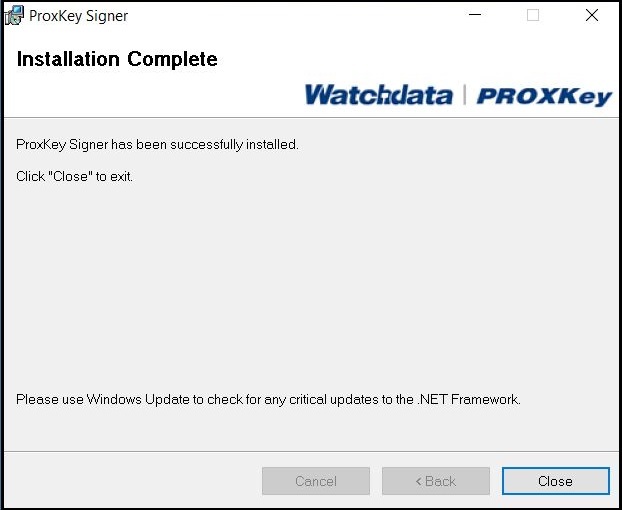 * Note: ProxKey Signer (Limited Version) is FREE for all ProxKey Token users. There is no limitation on the number of days or number of files you sign. 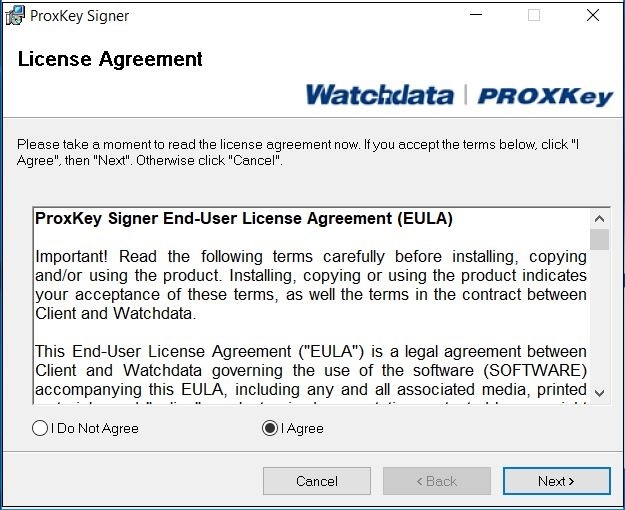 This version of ProxKey Signer can be only used with ProxKey Token and will not support signing with any other token brands.